A class of students meditating to release stress and calm their minds. We can all be in control of our emotions, it’s free to be happy, and it’s free to meditate. Meditation is right here at Morton in room 364, guided by Ms. Duré and a professional instructor online, and the best part about it is it’s free. Do you want to be in control of your own emotions? Want to train your soul so that it may be harder for you to feel down? Do you want to remain calm in times of conflict? Meditation is one of the best things you can do yourself in your own time, whenever and wherever you want. Constantly worrying about yesterday, today, and tomorrow increases your anxiety. Here in school, there is a complication with phones on who will text you next, who will like your picture next, and who will snapchat you next. Not only is it a distraction in the classroom and an interruption to your education, but it will also have you feeling anxious which can lead to depression and anxiety. Sometimes we need to just step back figure out where you are in your life and be in control of your emotions and mind in general. With meditation, you will see how you can be in control over your depression, your anxiety, your stress, it’s just a matter if you are willing to feed your soul and mind to be stronger and see that you’re emotions aren’t in control over you if not you are in control over your emotion. 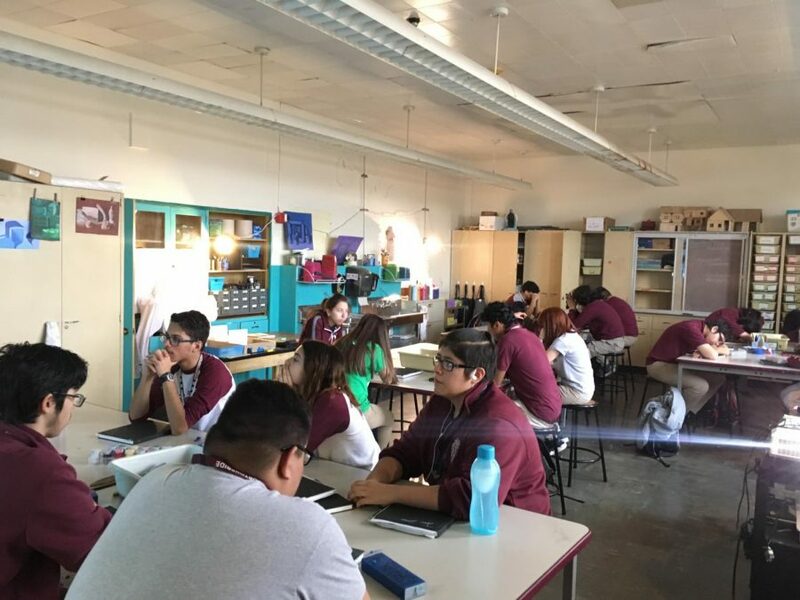 Ms. Duré, who teaches art at Morton East, with the help of an online instructor who she shows to the class, meditates a lot on her own and instructs the meditation club. “I see a really big difference in the way that I handle conflict, even when students were disrespectful to me, I used to get really upset which hurt me personally and now instead I pause and figure out what that person is going through. Instead of being rude back I ask myself ‘Are you okay? Maybe this kid is having a bad day? Its decrease conflict in my life,” Ms. Duré said. Pony Express News wanted to see what this meditation club is about so they sent a representative. “It was honestly something beautiful to me because I never experienced something like being able to in a way feel outsid e of my body and feel that I can be in control of my own emotions. This might sound corny, but it’s true. All my life, I thought if I felt sad then I had to be sad, if I was anxious I had to be anxious, but we are all in control of our emotions. We are able to overcome that sadness, overcome that anxiety, overcome that stress. We just have to feed our soul and train our brain and meditation has helped me with that. We can all be happy and stay there, so I encourage those who have been going through a lot lately — or just want to feed their souls — to come to the meditation club,” senior reporter Israel Carranza said. 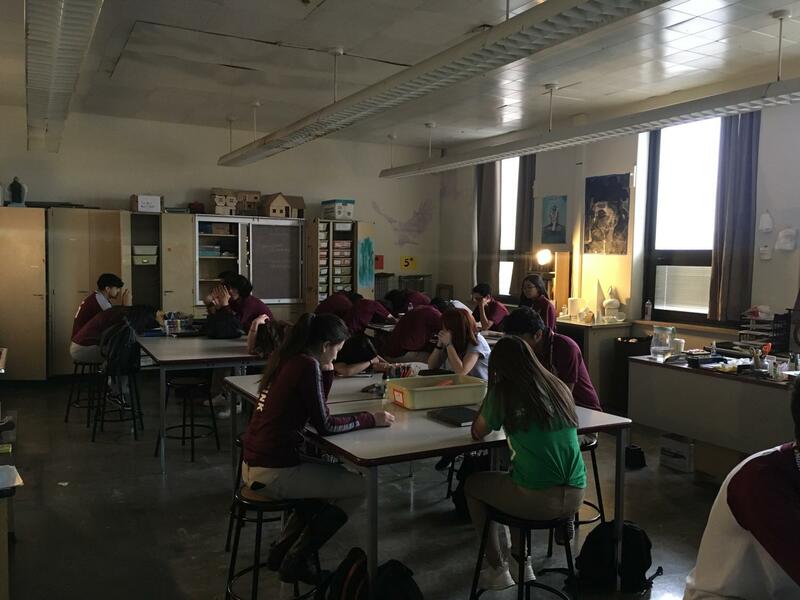 Ms. Duré started the meditation club with one goal in her mind, to help students in their daily life. “Personally, that’s why I wanted to start this club because I see a lot of sadness, anger, and stress in my students. It’s free and it only takes 20 minutes a day and it really works,” Ms. Duré said. To get muscles — work out, to get skinny — go on a diet, to get good in math — go to math lab, to be calmer and happier == go to the meditation club.